Research firm Mordor Intelligence has valued the current global chatbot market at $864.9 million and projects it to reach $3.15 billion by 2023, growing at a compounded annual rate of 24.1 percent. The firm attributes a huge amount of this growth to the increasing evolution and adoption of artificial intelligence and the growing influence of messaging apps like WhatsApp, Facebook Messenger, Skype, and Slack. 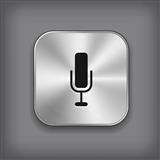 Improvements in voice recognition can also take some of the credit for the industry's growth. Moving forward, Mordor expects industry players—which include IBM, eGain, Nuance Communications, Creative Virtual, Artificial Solutions, Next IT, ChattyPeople Chatbot, Smooch Technologies, MEOKAY, Botsify, Chatfuel, PullString, Bold360, Dialogflow, Amazon Web Services, LiveChat, and LivePerson—to increasingly look at blockchain technology as a way to enhance the potential and performance of these bots. The report also points out that companies increasingly prefer cloud services over on-premise hosting, largely because of reduced costs as a number of vendors now offer pay-as-you-go service. Cloud deployments also offer higher flexibility and scalability, easier data access, and instant analytics that can be used to make crucial business decisions, it concluded..
As with many other technologies, Asia Pacific is expected to witness the highest growth, due to numerous startups in the area investing in chatbot and machine learning technology and the large number of small and mid-sized companies rapidly integrating chatbots to provide seamless performance, handle a large number of consumers, and enhance their customer engagements. Among the leading verticals deploying the technology, the report singles out financial services, healthcare, IT and telecommunications, retail, utilities, government, hospitality, and education.